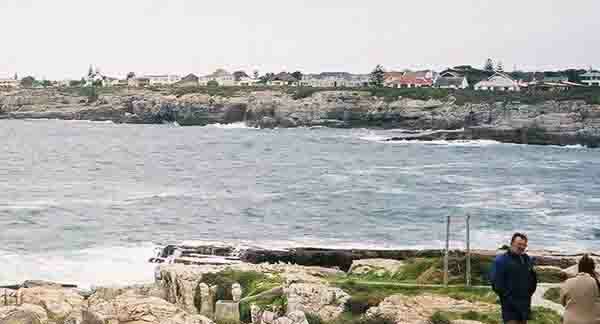 Hermanus is a coastal town on the southern coast of the Western Cape of South Africa. It is situated about 120 kilometres from Cape Town and is known as the whale capital of the Southern Cape. 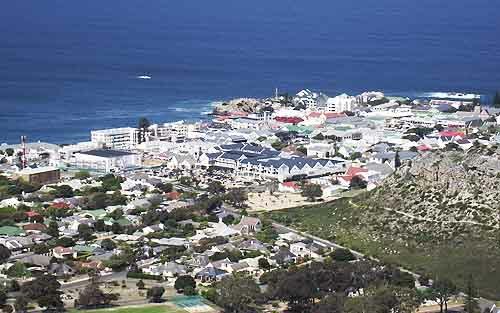 Hermanus is a very popular holiday / vacation destination for visitors from the north of our country. Many businessmen have built their holiday homes in the town and along the rocky coastline where during the whale season they get a fantastic view of the whales which visit Walker bay each year. The business and shopping centre of the town is built on the cliffs above the old harbour and also provides a first class viewing point when the whales are in the bay. 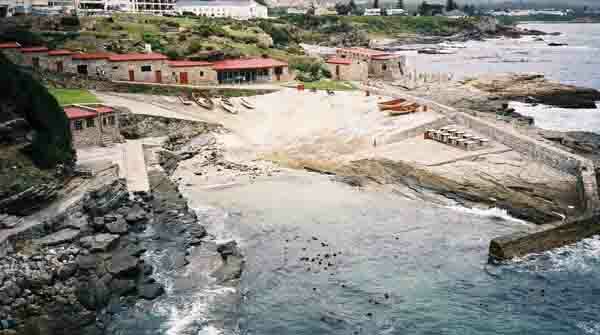 Hermanus is a fisherman's paradise and fishing off the cliffs into deep water is one of the attraction in the town. The cliffs along the coast have many pathways down them if one wants to get to feel the water and get closer to the whales. Grotto beach to the east is one of the better beaches along this rocky stretch of coastline and also lends itself to fishing. The Old Harbour which is just below the town centre is utilised by small boats only.The buildings around the harbour have been converted into restaurants and a fishing museum. The reason for the harbour being moved to its new location is that waves break into the harbour during storms and wash boats that are lying there away. They are then smashed up against the rocks and end up as driftwood. The new harbour has been built to the west of the town and accommodates larger fishing vessels which was not the case with the old harbour. 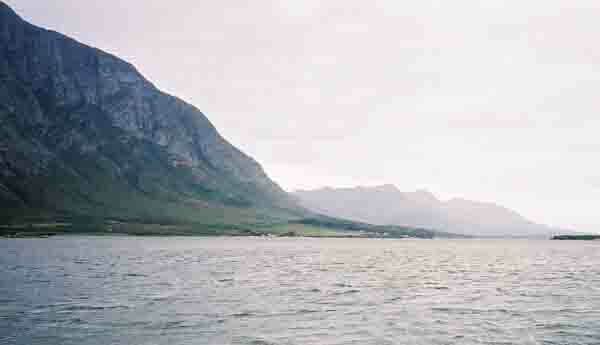 Between Hermanus and Stanford there is a large lagoon known as the Hermanus lagoon. It is navigable for small craft and is good for fishing as well. Fishing depends on whether the mouth of the lagoon is open to the sea or not. When it is the lagoon becomes tidal and many fish enter the lagoon to feed on the prawn beds. On the banks of the lagoon is a caravan park for those who love camping and the outdoor life. Many people have their own permanent plots in the campsite and store their caravans on site. The lagoon is about 12 kilometres long and has various access points. One of the is Maanskyn baai “ Moonshine Bay.“ which is mainly utilised for sailing regattas. To the east of the lagoon is “Die Plaat” a large flat rocky area off the coast a couple of kilometres along the beach in the direction of Gansbaai. Its a long walk to get there so many fishermen use by 4 X 4 vehicles to get there. The attraction of this fishing spot are the Galjoen South Africa's national fish, and secondly a fish which is on the endangered list. Its a lovely eating fish and these days can only be caught by anglers ( not boat fishermen) off the beach. It is not allowed to be sold and the catch is also limited to five fish per angler per day with a size restriction as well. Of late the authorities have restricted access od 4 X 4 vehicles to the beach so anybody who wants to fish the Plaat is in for a long walk. On the northern side of the lagoon there are some very interesting mountain ranges which run the length of the lagoon, sandwiching the lagoon between them and some sand dunes on the coast between the sea and the lagoon. The main tourist attraction in Hermanus is however the whales. 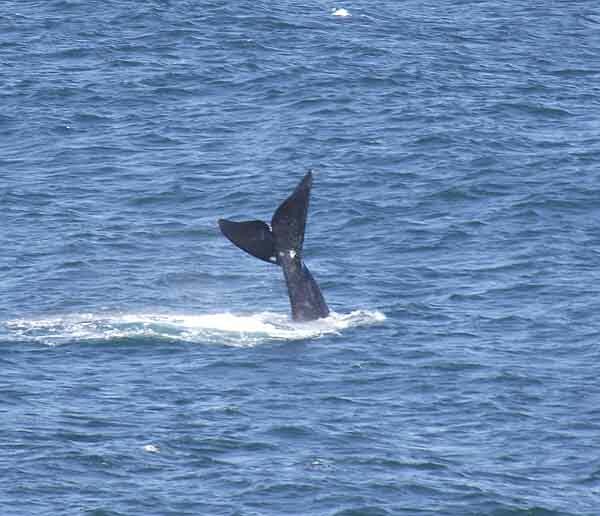 From June through to the end of November Walker bay is a hive of activity as the Southern Right whales come into the bay to calf and mate. 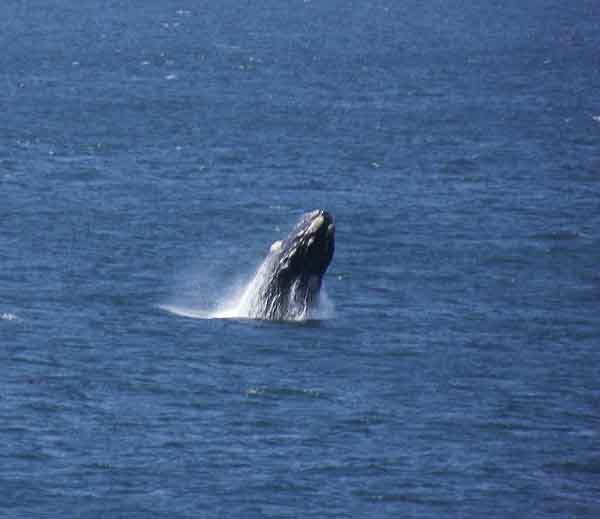 With the many vantage points around the bay visitors cannot miss the whales which come close in shore. During the season a whale crier is employed to spot the whales and advise tourists t where the best vantage points are. During the whale season it is often extremely difficult to get into the town due to the many cars blocking the roads in Hermanus. Even with these difficulties the town is worth a visit . I have found some excellent accommodation for those wanting to wake up close to the whales or spend some time in Hermanus. Check out our Accommodation advert on this page.